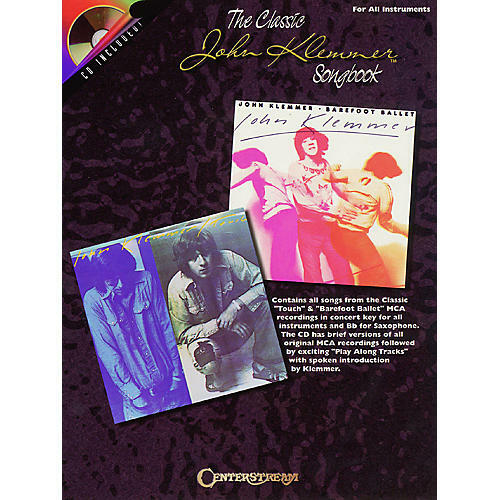 A true music innovator, composer and saxophonist John Klemmer is credited with paving the way for the smooth jazz and new age genres. This unique book/CD pack contains Klemmer's actual recorded tunes from his hit MCA records Touch and Barefoot Ballet. Following the recorded versions are complete rhythm tracks for soloing and improvising. Songs include: Body Pulse · Crystal Fingers · Forest Child · Free Fall Lover · Glass Dolphins · Poem Painter · Rain Dancer · Sleeping Eyes · Talking Hands · Waterwheels · and more, in both concert key for all instruments, and in Bb for saxophone. Includes spoken introductions by Klemmer, a biography, and a foreword by Rheuben Allen, owner of LA's famous Sax Shop.